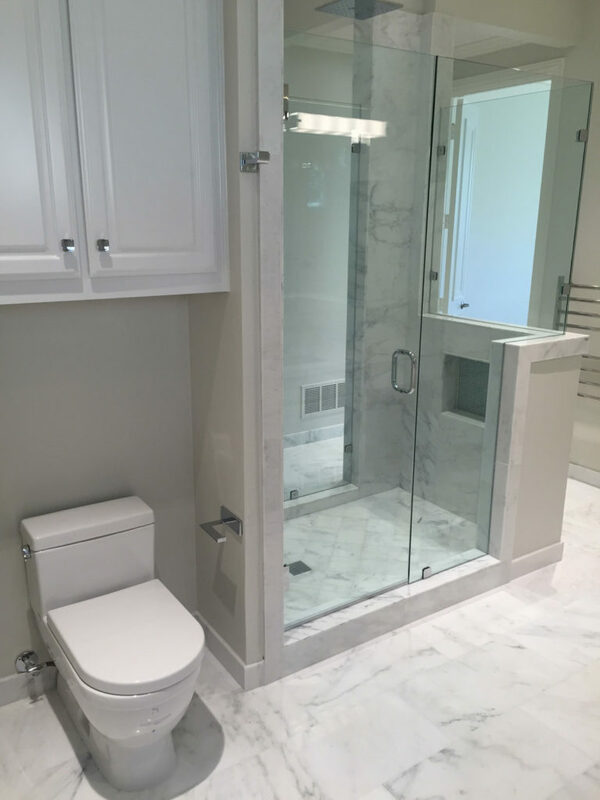 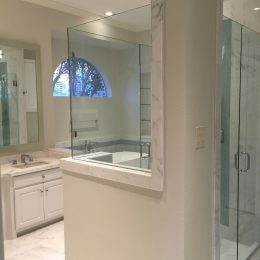 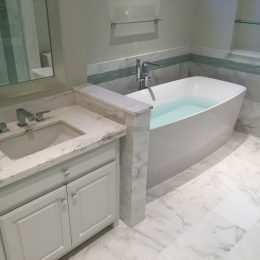 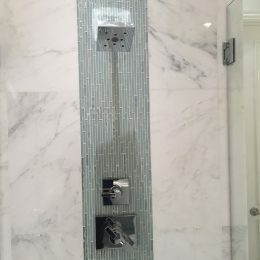 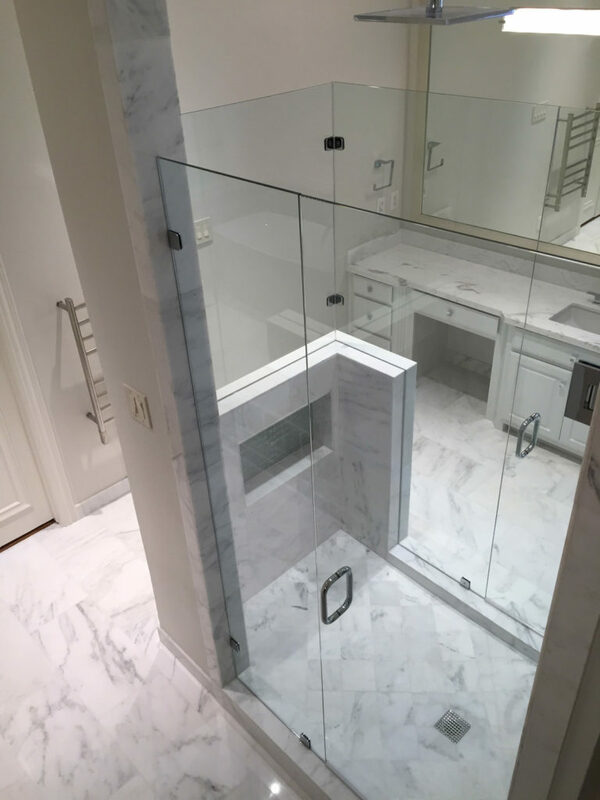 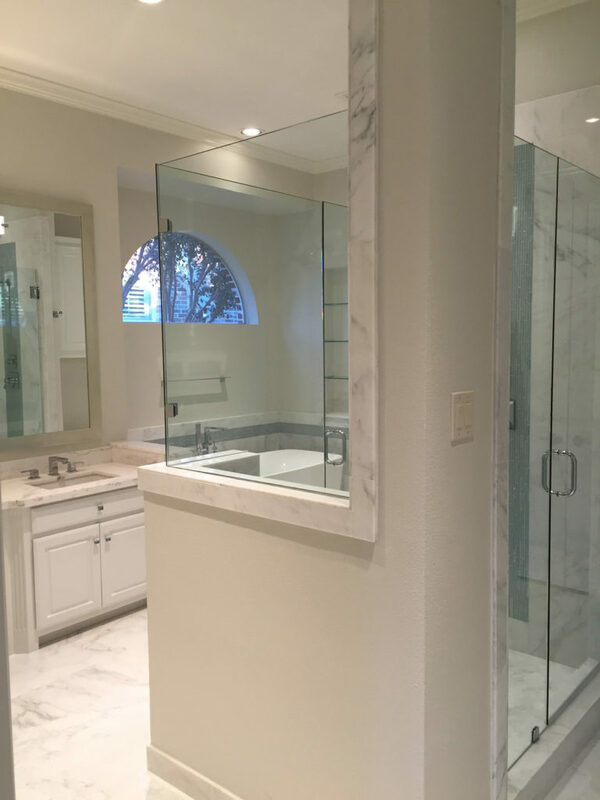 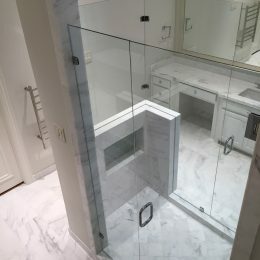 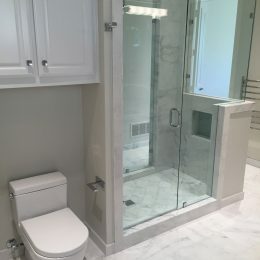 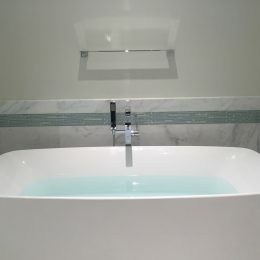 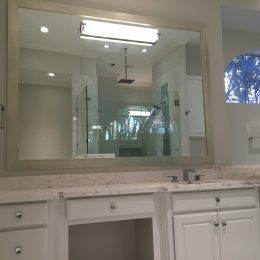 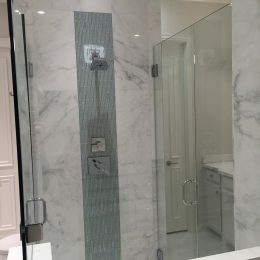 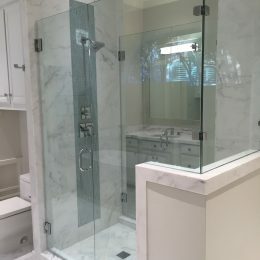 In a truly unique application, the shower is featured front and center in this master bathroom. 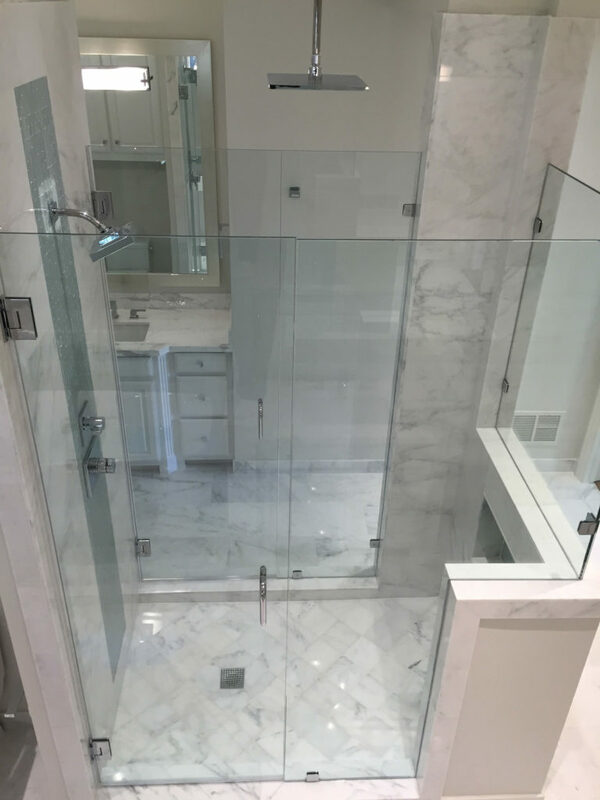 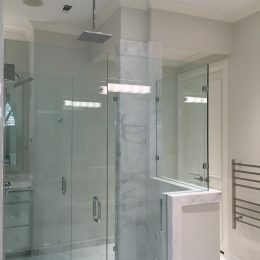 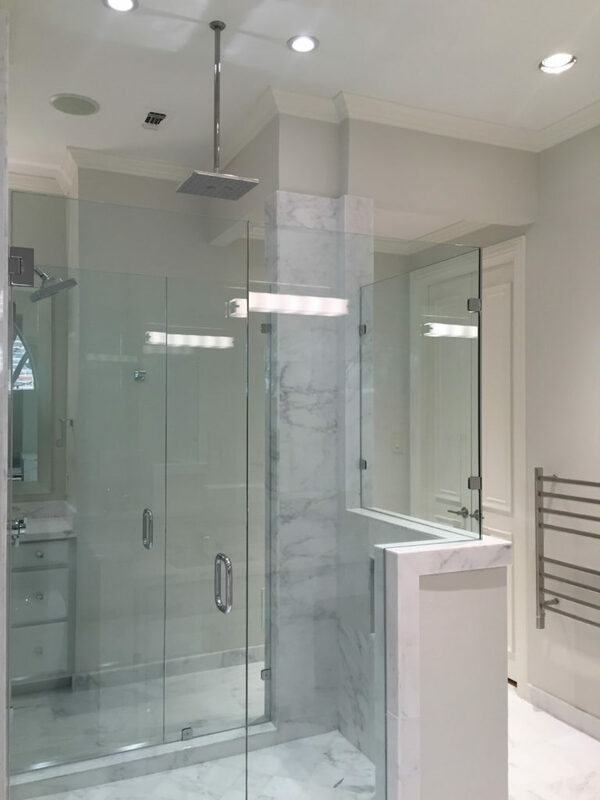 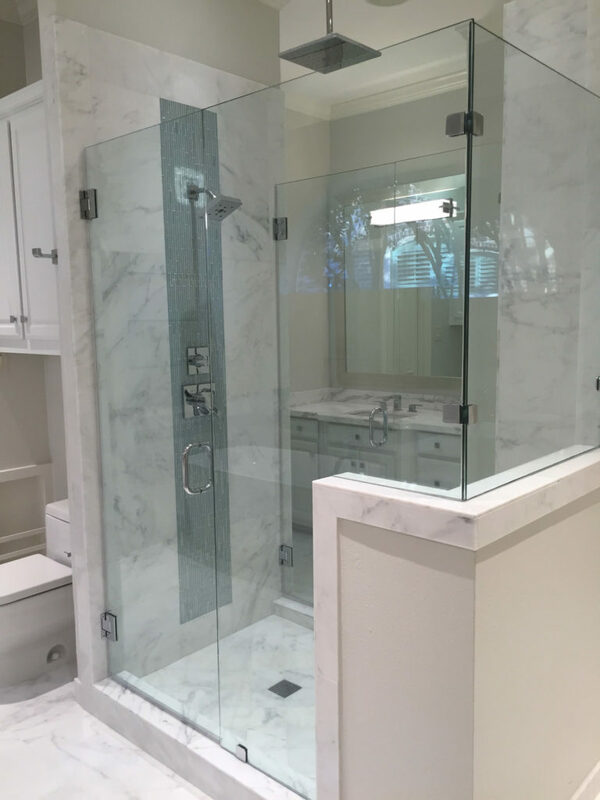 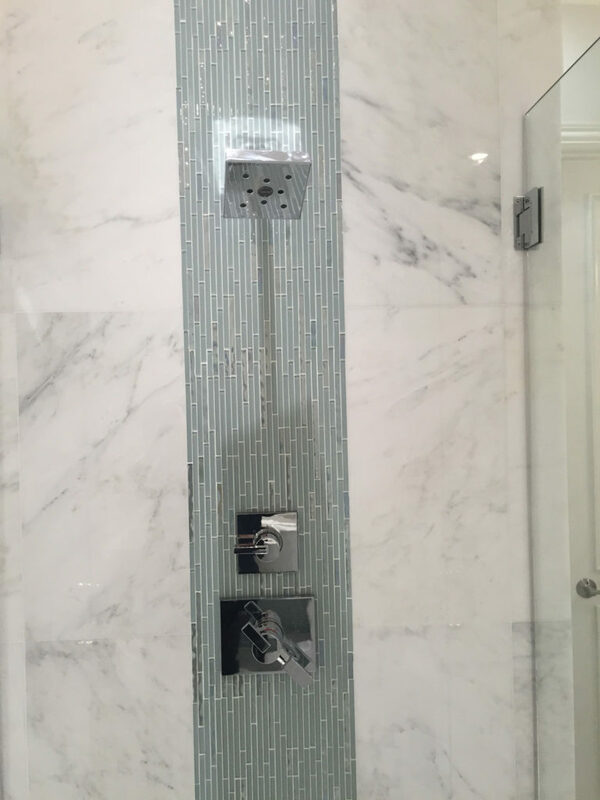 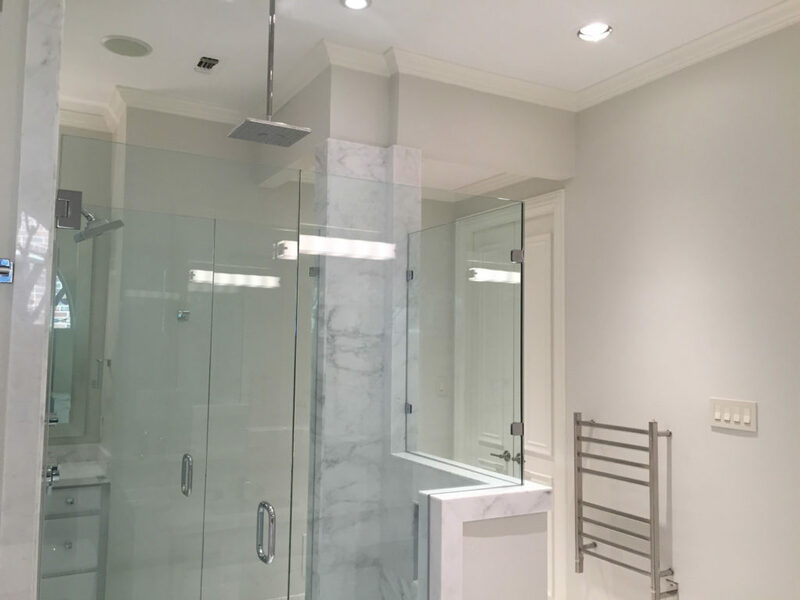 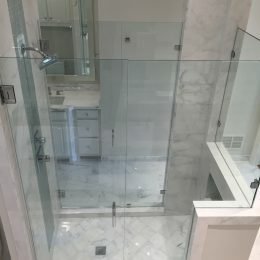 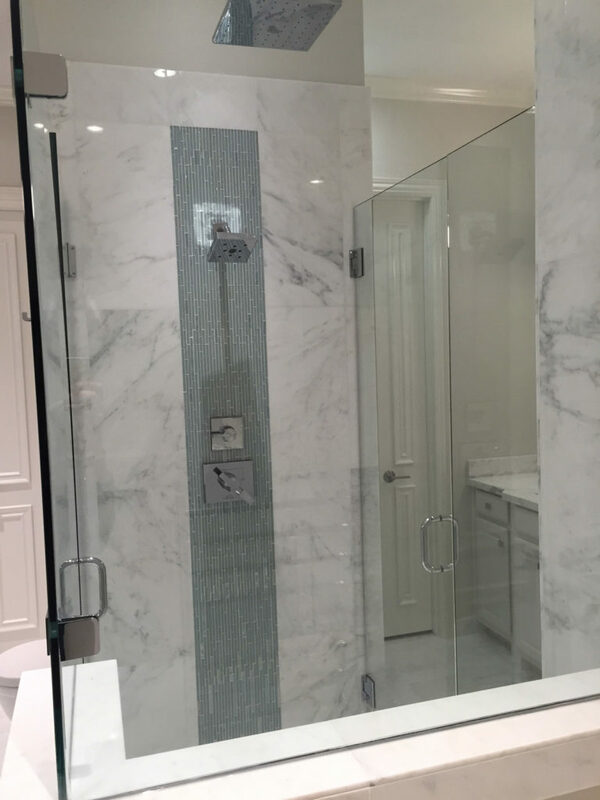 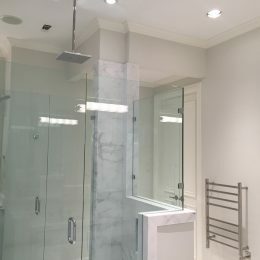 Complete with two shower heads and surrounded by frameless glass, the shower is a true show piece. 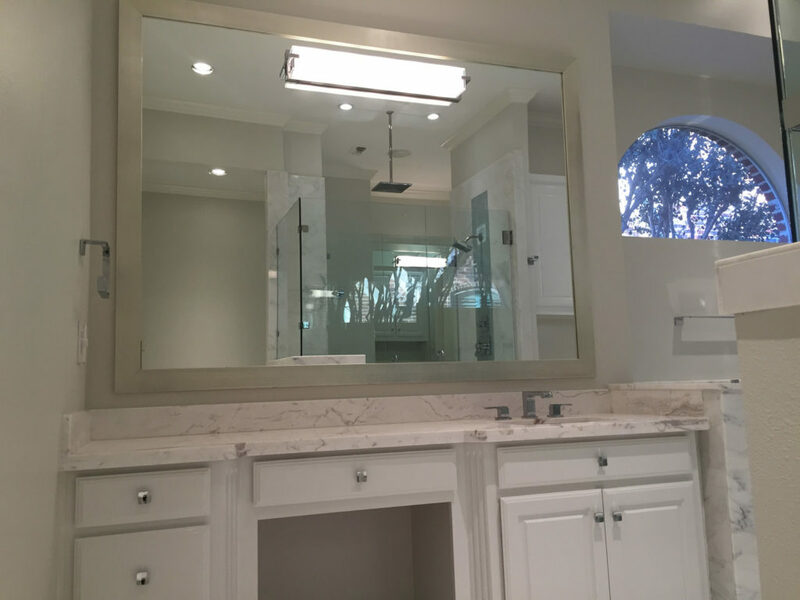 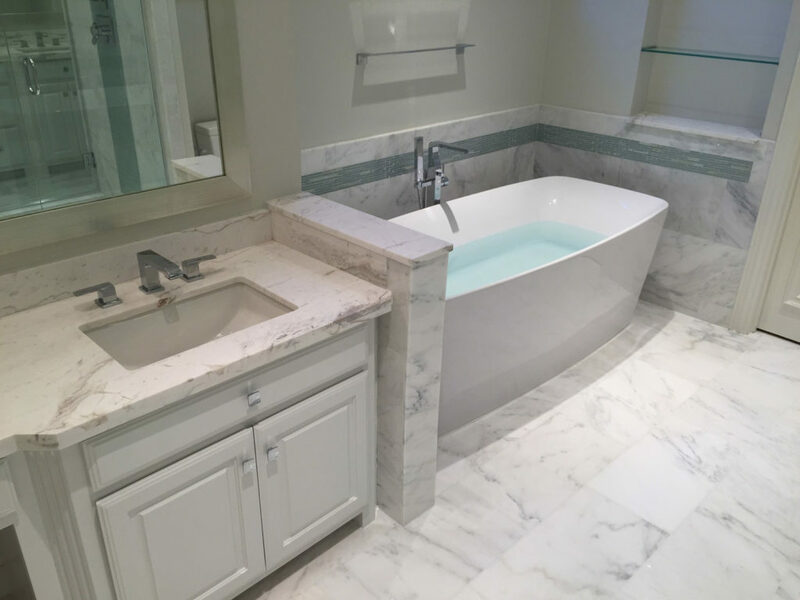 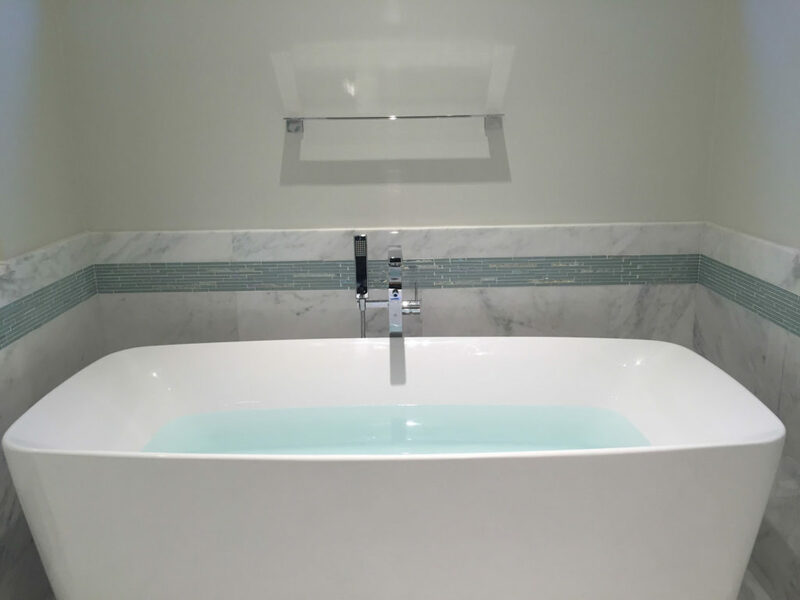 Dual vanities and wall-to-wall marble help make this bathroom even more luxurious and modern.